The Network unites organizations that are committed to advancing purposeful global engagement at a person-to-person level, providing them with a common platform from which to share, participate, and learn in this important community. 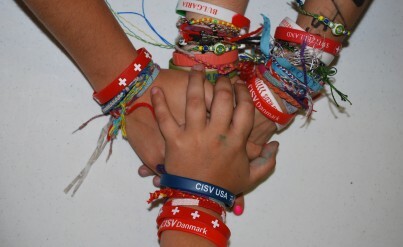 CISV USA is a global community of dedicated volunteers that create opportunities for people of all ages to experience the excitement and enrichment of cultural diversity through educational programs. CISV USA is founded on the belief that peace is possible through friendship – and that real differences can be made by starting with children. The idea for Children’s International Summer Villages (today known as CISV International) was conceived by child psychologist Dr. Doris Allen in 1946. Following the devastation of World War II, many people were focusing on initiatives to build and maintain peace. One particular idea caught Dr. Allen’s attention. It was a proposal for a UNESCO peace education institute for postgraduates from many disciplines. As a specialist in growth and development, Dr. Allen could not agree that the focus for peace education should be in the field of adult learning. She firmly believed that the ultimate source for long range peace lay with the children. From this conviction came her vision of bringing together children from all over the globe to learn to respect different and common values. In 1951, she realized her dream when delegates from eight countries gathered in Cincinnati, Ohio (USA) for the first Children’s International Summer Village (CISV). Over the decades, the organization grew in numbers, countries and activities. In 1979, Doris Allen was nominated for the Nobel Peace Prize; the recipient that year was Mother Teresa. Over 60 years after the first Village, this program remains the cornerstone of our international educational activities. CISV’s range of programs has increased from one to six different types of international activities and from one Village to around 180 international programs a year. Today, CISV operates in over 60 countries and since 1951, more than 190,000 people have participated in more than 5000 international activities. 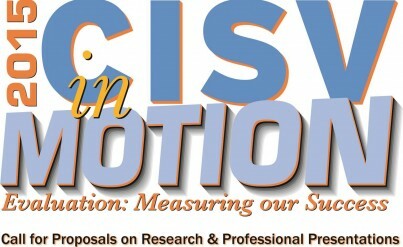 CISV USA is conducting its annual conference and is seeking professionals and researchers to present on research developments in the fields of international education, intercultural communication, non-formal leaning, peace education, active citizenship, etc. The Conference will take place October 16-17, 2015 at the Northern Kentucky Convention Center and Embassy Suites in Covington, Kentucky. Please contact [email protected] with any questions. Or call (513) 674-9242.